Product Description: In Disney's Art of Animation, Thomas explains the birth of the Walt Disney co., from a handful of people meeting in a home, to the huge Disney phenomenon we know today. 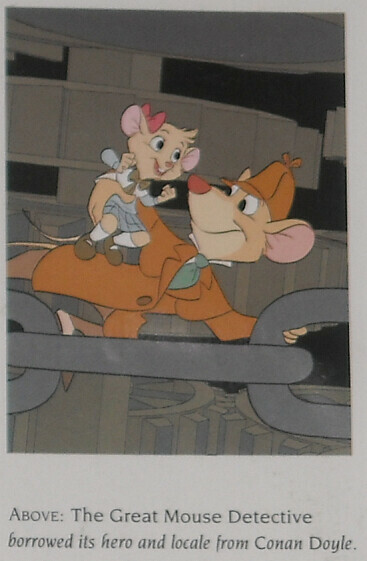 The first half of the book explains the formative years of Disney, from before Mickey's time. This book looks into facts about the films themselves from an outside view. It keeps its eye on the whole company as it struggled along through the 30's, 40's, and even 50's. It talks about pre-Snow White cartoons and all of the full-length feature films from Snow White and the Seven Dwarfs to 1990's Rescuers Down Under. The last half explains the process of creating a modern animated film from the standpoint of many of the people who had an influence creating the only Disney Picture to be nominated for Best Picture at the Academy Awards: Beauty and the Beast. Thomas explains how each aspect of the film is created and consolidated into one final, breathtaking work. 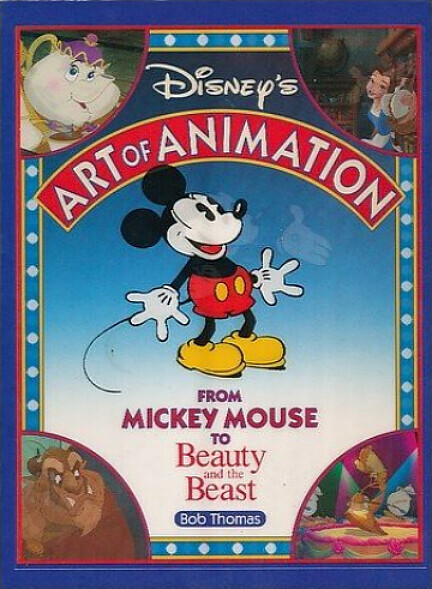 An excellent book for anyone interested in animation and, not to mention, a Disney fan's wish come true. GMD mention: Pages 115, 117 (one photo of Basil and Olivia; it's been awkwardly rotated to vertical and then reversed), 158, 173, 178, and 184.